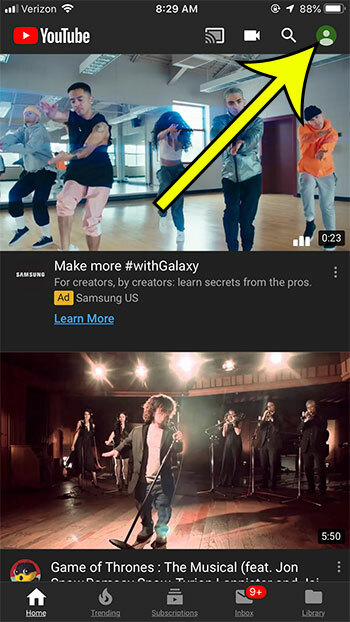 YouTube has so much content that it’s pretty easy to spend a lot of time watching entertaining videos. If you’ve found a good channel and are watching their whole library, or if you’ve started watching videos on a particular topic and keep going to other related ones, time can just fly by. 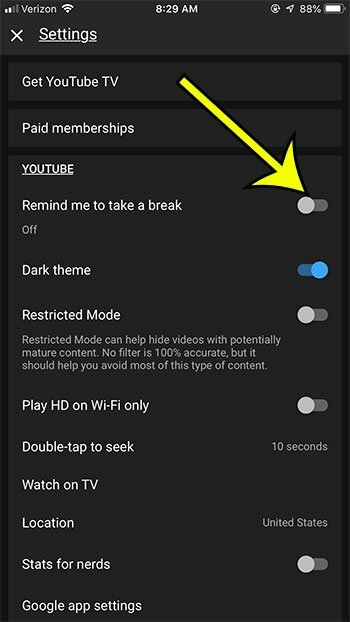 If you’ve been watching YouTube videos for a long time in one session, you may have gotten a notification from the app telling you that it’s time to take a break. This is meant to be helpful and give your eyes a rest. But if you would prefer not to receive this break reminder notification, you can turn it off. Our guide below will show you where to find that option on an iPhone. The steps in this article were performed on an iPhone 7 Plus in iOS 12.2. I am using the 14.12.7 version of the YouTube app. 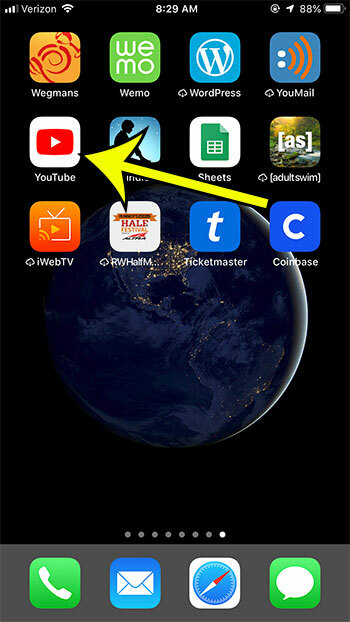 Step 2: Tap your profile icon at the top-right of the screen. Step 4: Tap the button to the right of Remind me to take a break to turn it off. This is just one of many settings that you can configure in YouTube. 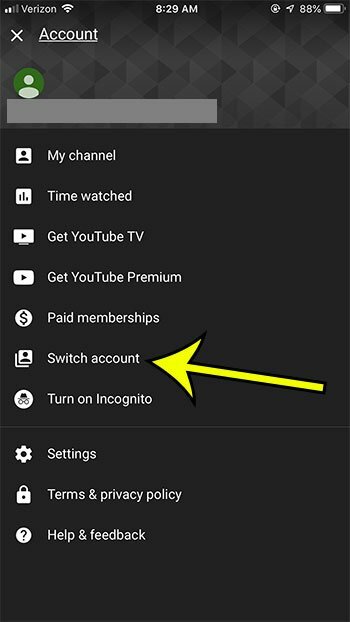 Find out how to turn off subscription notifications, for example, if you are subscribed to a lot of channels and are tired of getting notifications every time one of those channel posts a video. Can I Convert a Google Slides File to a PDF?